The high demand for skilled health care workers is real and urgent. To properly care for the aging population in the United States, medical facilities will need to hire 2.3 million health care professionals by 2025, according to CNN. There are mounting pressures on the health care industry to train and place qualified health aides, nurses, and doctors. Nurse educators are doing their part to prepare nursing students for these roles by sharing their clinical experience as registered nurses in the classroom. However, there is a shortage of qualified nurse educators, confirmed by the American Association of Colleges of Nursing (AACN). Experienced nurses with a passion for learning and sharing their knowledge with others can help the health care industry and discover new career opportunities by becoming a Doctor of Nursing Practice (DNP) nurse educator. There are a variety of rewarding career paths for DNP nurse educators. To qualify for a nurse educator position, candidates must be registered nurses with a master’s or doctoral degree. Nurse educators use their expertise to teach nursing students and practicing nurses the knowledge and skills necessary to attain higher education degrees or certifications. They design education programs, implement teaching methods to support desired learning outcomes for students, and provide critical feedback along the way. Earning a DNP in nurse education can be beneficial for potential nurse educators who want to work as professors, lead clinical research studies, present at conferences, review the professional work of colleagues, and seek funding for research projects. During the doctoral program, DNP students build upon their master’s-level education and clinical experiences through coursework that specializes in teaching and learning for nurse educators, instructional methods in nursing education, and assessment and evaluation in nursing education. The coursework is customized to prepare students to develop and hone the core competencies for their future careers as nurse educators. In 2016, the World Health Organization (WHO) established eight international nurse educator core competencies to respond to the evolving education of health workers across the globe. According to WHO, “It is anticipated that if the competencies are appropriately adopted and/or adapted, educational institutions will be equipped to prepare educators to provide high-quality nursing education.” Each of the following competencies fulfills three learning and teaching domains: cognitive, attitude and behavior, and psychomotor. The first competency outlines the importance of a nurse educator’s understanding of the modern educational methods and models used to design curricula to best support outcomes in the nursing field. Educators should know the various theories, principles, and philosophies of adult learning and demonstrate enthusiasm for teaching. The second competency outlines the skills and abilities necessary to design, implement, monitor, and manage a curriculum. Curricula should support the interaction between nurse educators and students, using the best educational models and practices. Nurse educators must demonstrate their ability to provide counsel and advice to students to help them meet their goals, and use different activities and tools to support the learning process. To provide up-to-date clinical information for students, nurse educators should maintain their current knowledge and competence in nursing practice. Nurse educators can demonstrate this competency by participating in ongoing professional development, applying research findings to their nursing practice, and maintaining certifications and licenses as part of their legal obligations. This competency highlights a nurse educator’s requirement to participate in the industry by conducting or participating in research using evidence-based methods. Through this competency, nurse educators foster an environment of critical thinking and developing future nurse educators. Nurse educators must have effective communication skills to teach curricula, share best practices with other professionals, and create an environment of teamwork in a classroom or clinical setting. This competency also recognizes how a nurse educator should act with cultural humility to protect the rights of his or her patients and respect cultural differences. The sixth core competency emphasizes a nurse educator’s dedication to professionalism and strict adherence to an ethical code of conduct. Nurse educators should demonstrate this value to their students by respecting the rights of their patients, such as privacy, and having open discussions about ethical issues when necessary. Alongside creating curricula, nurse educators must also continue to monitor and evaluate the program’s performance and assess how the program is supporting the desired nursing outcomes. Nurse educators must establish a framework for measuring student performance, such as tests and case studies, and provide fair and accurate assessments of a student’s results. The final core competency outlines how nurse educators demonstrate their knowledge of leadership and program management when creating curricula, and how they contribute to shaping the future of nursing. 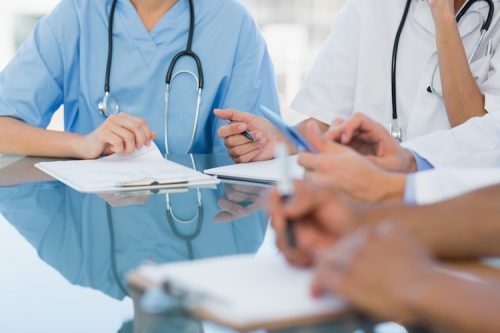 As leaders in the nursing field, nurse educators also should advocate on behalf of the profession by collaborating with colleagues and academic institutions to improve teaching practices. The demand for DNP nurse educators cannot be ignored. The AACN reports that there is a nurse faculty vacancy rate of 7.9 percent, with over 90 percent of these positions requiring or preferring a doctoral degree. Nursing professionals with a passion for sharing their experience and a desire to advance in their careers may be the perfect fit to guide and mentor the next generation of nurses by becoming DNP nurse educators.